Home / magic / Neal Stephenson / Nicole Galland / review / Rise and Fall of D.O.D.O. / science fiction / Time Travel / The Rise and Fall of the Rise and Fall of D.O.D.O. The Rise and Fall of the Rise and Fall of D.O.D.O. 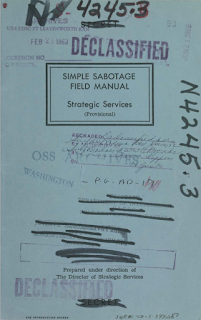 In 1944, the Office of Strategic Services (the forerunner to today's CIA) published the Simple Sabotage Field Manual (declassified in 2008), a guide for recruiting, motivating, and equipping civilian saboteurs to thwart enemy war plans and capabilities. 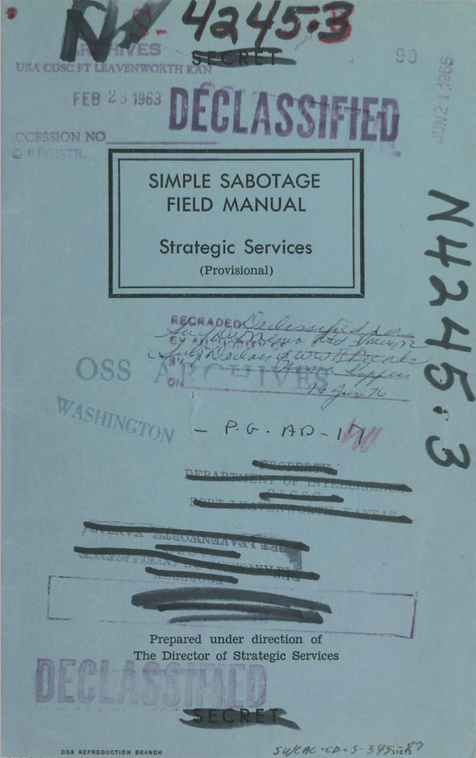 Included in the manual are suggestions for how to sabotage buildings, industrial production, transportation systems, communications, and organizations. The characters in The Rise and Fall of D.O.D.O. followed the section on disrupting organizations to a T, some on purpose and some purely out of their own nature. Yes it exists. And it is glorious. Rise and Fall is science-fiction story about witches and time travel (yes, you read that right). It's somewhat of a spy novel. It dabbles in conspiracy theories. It's almost a love story. But most importantly, it's a tale of how organizations are born and die, especially under the weight of government bureaucracy. (3) When possible, refer all matters to committees, for "further study and consideration." Attempt to make the committees as large as possible -- never less than five. Rise and Fall details the formation of the Department of Diachronic Operations (DODO), a project started by the US intelligence community to investigate the disappearance of magic from the world in 1851, bring it back if they can, and bend it to serve the national interests of the United States. The key to accomplishing this lies within an intersection of linguistics, history, and quantum physics. The novel distributes its narrative across a number of different formats. Some chapters are excerpts of documents and transcripts of meetings and interviews. Some are letters, particularly letters from an Irish witch/spy to her lord and 16th Century Irish revolutionary, Gráinne Ní Mháille (commonly known as Grace O'Malley). Others are journal entries of one of DODO's early recruits, splitting attention between capturing the progress of her garden and the happenings of a secret government agency. The majority of the narrative, however, is from an account being written by 21st Century linguist Melisande Stokes, who is, as the book opens, trapped in 1851. Her story can largely be seen to embody three main sections. 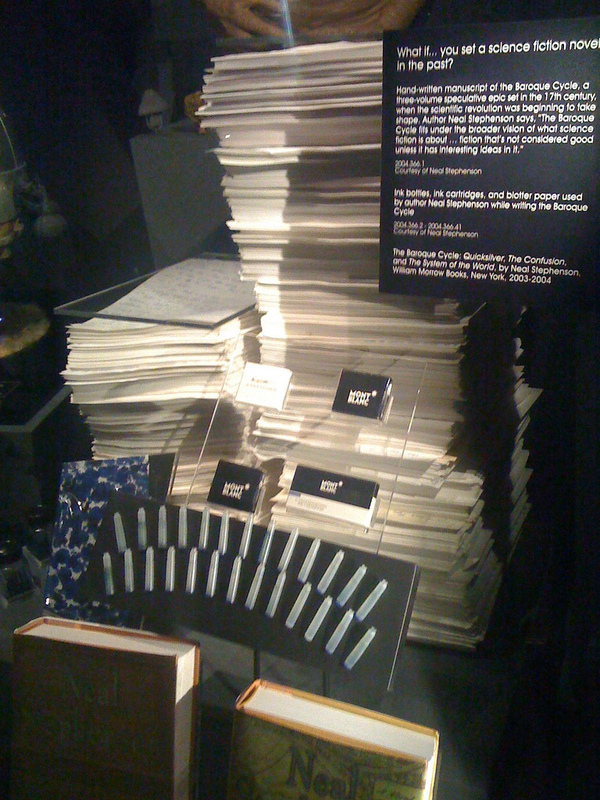 The start of her account sees Stokes detail the formation of DODO starting with her recruitment by MAJ Tristan Lyons (US Army), their investigations into the disappearance of magic in the 19th Century (something Stokes has to be convinced actually happened), their discovery of the quantum physics underpinnings of witchcraft and how photography was the end of magic, and their recruitment of a physicist to build a machine to allow magic to return (in specific, limited ways). Throughout, there are oblique references to how things went wrong, but those are largely left for the reader to discover in the next two parts of the story. The second part tracks the development of DODO into a fully functioning operation. 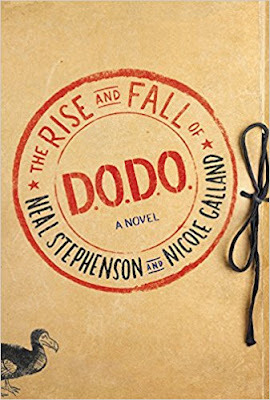 Having recruited their first witch (or, more accurately, having been recruited by their first witch), DODO begins to explore what uses witchcraft may provide for national defense, almost accidentally discovering its use for time travel. Once the capability is there, DODO takes off, expanding quickly with new operatives and, unfortunately for them, a new bureaucracy. Few enemies are as scary as the Human Resources department. The final section explains how everything ultimately went wrong. Bureaucracy blooms to a level in which petty desires and jealousies could thrive. Recruits to the organization are not as helpful as they seem, working for their own purposes. And eventually, enemies from both within and without bring the organization (and, as a result, both the security of the nation and the stability of the world -- both past and present) to the precipice. Eventually, the landscape of the novel breaks down into four main factions: our heroes, a usurped government agency, a secret family of bankers descended from history's richest man, and a time-traveling band of Viking raiders. Action bounces among modern day America, 17th Century Massachusetts, 17th Century London, 13th Century Constantinople, and 19th Century England and America. 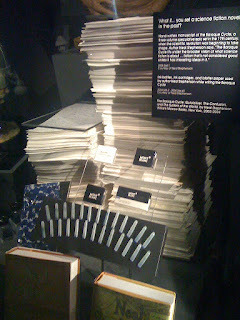 Throughout, you get to see the interest in history that authors Neal Stephenson and Nicole Galland bring to the project. Galland is someone I was not familiar with before setting forth on this journey, but her bibliography features historical fiction. Stephenson exercises his science fiction chops, as well as his interests in historical accuracy. DODO's recruitment of martial arts experts to lend authenticity to agents sent into the past mirrors nicely Stephenson's gathering of swordfighting experts that ultimately led to the creation of the Mongoliad. When you're so devoted to authenticity that you write your trilogy by hand with ink and quill. Rise and Fall features typical Stephenson humor and pacing. The book builds slowly, constructing its world with care and detail. Then around page 636, the authors appear to realize they need to end the book soon, and the entire cycle from introduction of the final problem to climax to resolution is crammed into just a hundred pages. The ending is not one of Stephenson's most satisfying, as it would have been fitting for the final page to wrap up with "And so it begins..." It strikes me that the novel would be a reasonable start to an ongoing episodic series and in that form could present some wild possibilities. As a novel, Rise and Fall is entertaining but feels incomplete. Mildly recommended. The Rise and Fall of D.O.D.O. can now be purchased in paperback at all major book retailers.